For a more recent Christmas menu, click here. I’m sure by now that planning for Christmas is already on your mind. You’ve probably ordered your Christmas cards, made your gift list, put up the tree and have started planning for guests. It seems like with all of the planning and budgeting for gifts, we often forget about budgeting for our holiday meal and when the time comes to buy groceries, we find ourselves turing our pockets inside out counting pennies and pocket lint, hoping that maybe there is a big sale we didn’t know about! Does paying for the that giant, lavish ham or prime-rib make you cringe? We all want a meal like the ones we remember as kids, with the entire family and food covering the whole table. Sadly, the stress of feeding a crowd and buying tons of food can turn the whole event from a perfect day to a perfect nightmare. Isn’t there a more reasonable way to celebrate? Of course there is, with Walmart To Go! There are a lot of ways to plan a delicious Christmas meal on a budget without your guests being any wiser. This budget-friendly Christmas dinner is just as decadent and delicious — I promise! Grab a cup of coffee or tea, relax and learn how to make a five-star meal on a fast food budget! Setting a budget needs to be your first step in planning Christmas dinner. Figure out how many people are coming for dinner, and make a note of who is bringing a dish, and what they are bringing. Start saving money by sharing the delicious men you’ve created and see if any relatives or other guests want to handle a particular side or dessert. The more you dishes you delegate, the more money you will save—plus everyone will enjoy getting to help out in some way with the meal and share their special dish. Make a cheap, delicious and bountiful meal all starts with a little planning. I like to start planning for the holiday, by figuring out what we are having for dinner the entire week. Maybe there will be some ingredients that we can use in both dinner and Christmas dinner; like bacon and butter. When getting started, get organized. Having a worksheet like these two, really helps visually see things in your menu. Whether you’re planning for a month or for a week, these worksheets are a great way to help visualize what is for dinner. Wednesday (Christmas) – Christmas Eve family traditions, no meal. Pull out your favorite cookbooks and magazines and browse through them for some inspiration. Then check out your favorite blogs and Pinterest and make some notes. Make notes of the dishes that will go well with your traditional menu or pick some fresh recipes. This is a great way to get into the spirit of the holidays and find new inspiration for your dining room table. Mix the old with the new. Christmas time is about traditions, but don’t let this deter your plans of adding a new side dish to the table or adding your twist to family favorites. Many of us remember the Christmas meals we had as kids. Simple, traditional comfort food that was rich, heavy and creamy. When choosing recipes for your Christmas dinner, include dishes with different colors and textures for a more inviting meal. Don’t try out that brand new sweet potato souffle recipe yo saw on Pinterest on your guests on Chrsitmas day. If you’re itching to try out a brand new dish, make it before the big day so that you can feel confidant when the big day comes. Take inventory of everything before planning including your cooking equipment, dishes, bakeware, and appliances while keeping your kitchen layout in mind. For instance, it’s going to be difficult to roast a turkey, bake Christmas cookies and brown dinner rolls all at the same time if you only have one oven and all of your recipes require different cooking times and temperatures. Plan dishes that you can make ahead of time or only require a short cooking time. Consider cooking these recipes in dishes that can be transferred right from the oven to the table. Speaking of which, make sure you have enough bakeware and serving dishes for all of the dishes you want to serve. The next step in your menu planning process is to take inventory of what you already have on hand and Shop at home. 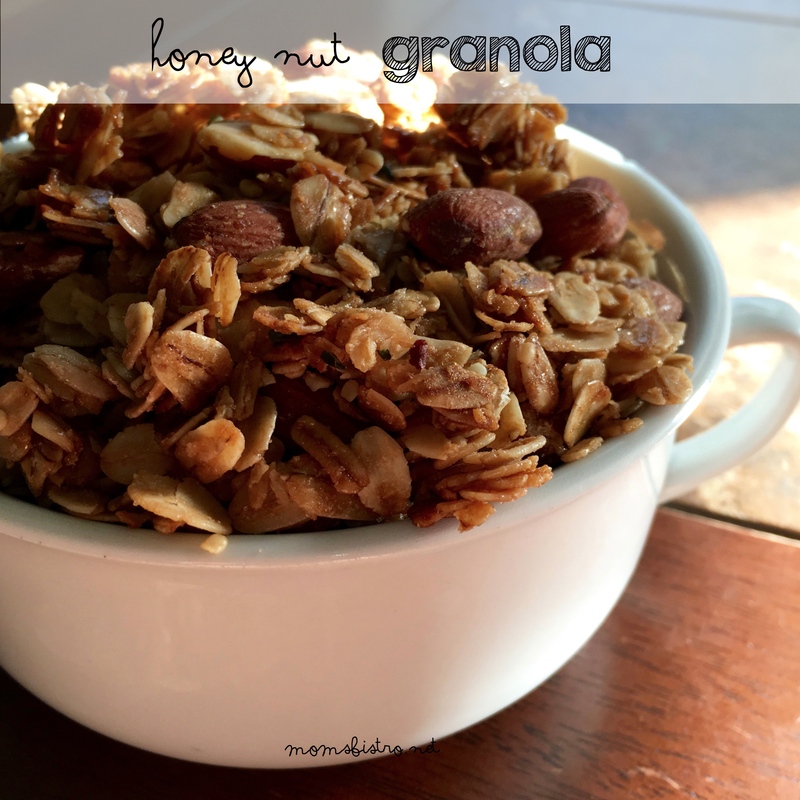 Check out your fridge, freezer and pantry and see what you have on hand. Write it down, and keep a list beside your flyers, or other recipe inspirations and see what you can make with ingredients already in your kitchen. Shopping at home is a great way to stretch your grocery budget. A great grocery list will save you time and money, so make sure that you write down everything – even the spices and the flour. I usually start with a scrap piece of paper and just in a long list, write down each ingredient for each meal on the menu, and then start shopping at home to see what we have. After shopping at home, and crossing off the ingredients I already have, I write my master list, categorized by department. Using Walmart To Go for grocery shopping saves you even more money, because you can see the grand total as you shop, so you stay exactly within your budget. I love how the site shows the price per pound or ounce too, so you really know that you’re getting the best bang for your buck. Use Walmart To Go. Using Walmart To Go is simple. You simply log in, and buy your groceries. Then, you select a time, and they are either delivered right to your house, or you can pick them up at your local Walmart. But what makes it so great for slashing your grocery bill? Everything. 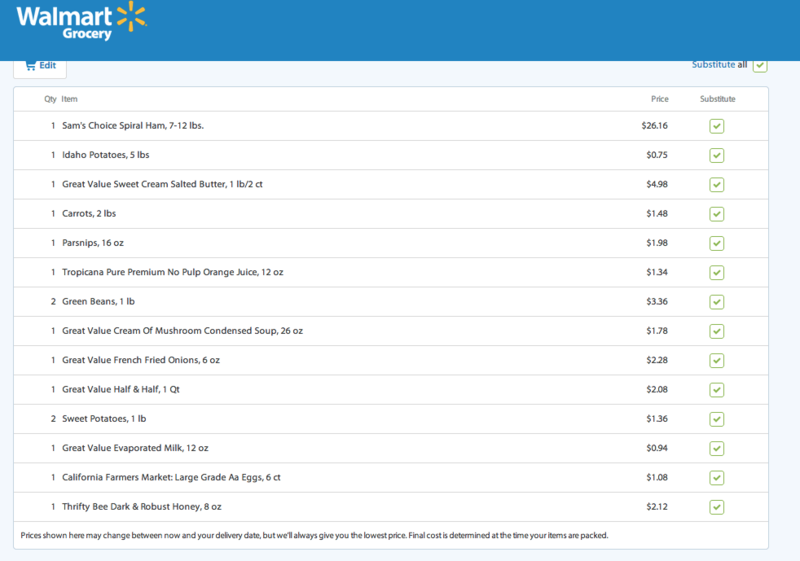 Walmart has the lowest prices around on groceries, and as you shop, you can see the total of your grocery cart on your screen. This makes sure that you stay within your budget, because you see it tallying up. Shop early and save more. Start shopping for Christmas dinner now. Buy groceries on your master list that are on sale now. If you have the room, and you know you’re going to have turkey at Christmas, buy an extra one at Thanksgiving when they are on sale for $0.59 a pound and keep it in the freezer. Same rules apply for your Christmas ham or prime rib – if you see this on sale before the holiday, grab it and keep it in your fridge or freezer. Make it homemade. Making your own versions of things like bbq sauce, and breads and salsas and dips saves you a ton of money. Convenience foods are expensive. Buying in bulk. From spices, to rice, to popcorn, to legumes to nuts and seeds, buying in bulk is awesome. I like to buy in bulk because I can get just the amount I need for the week or meal without worrying about foods going bad, or I can make a double or triple batch of foods and freeze in serving size portions. Buy food you actually eat. 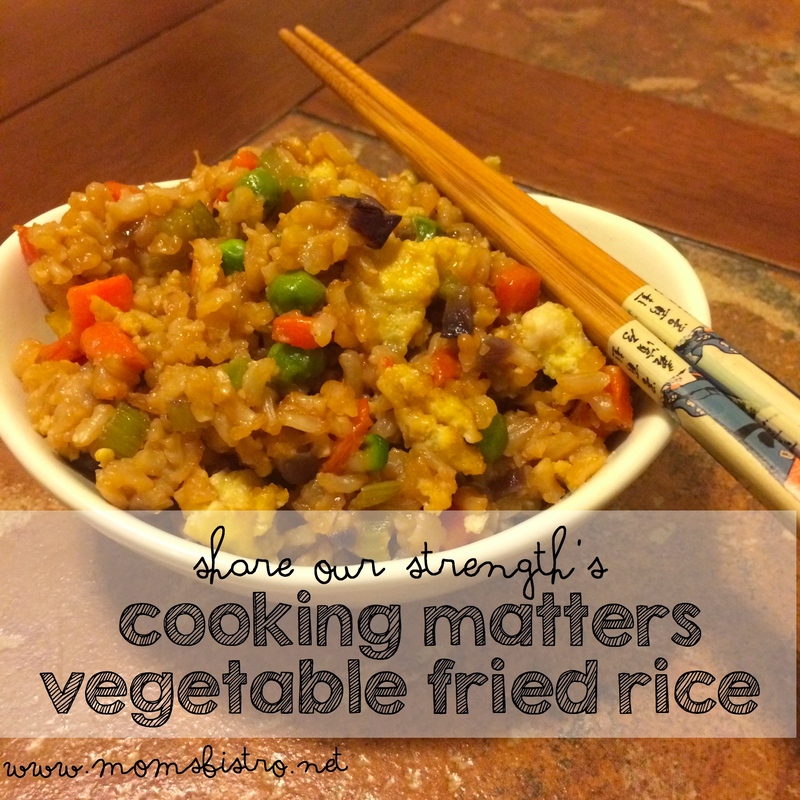 Don’t just buy fruit and veggies that you think you could add to a meal or your kids “might” like. If you’re trying to save money on your grocery bill, just buy the things that you like. Leave the kids at home. As cute as they look strapped into the car cart at the grocery store, giving you directions to turn left or right, they cost you money! I try to leave both of my boys at home when I get groceries because theres always just that one thing that they want, and look at me with those eyes, and I cave. 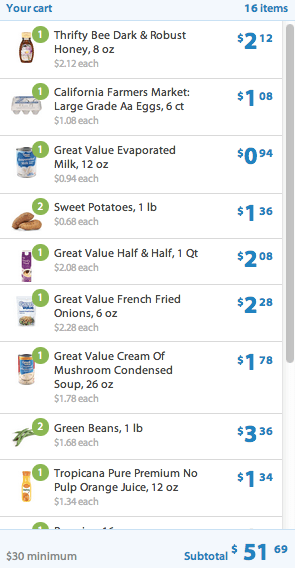 I used WalmartToGo to price out the grocery list. This shows the total cost of each item. Only $51.69 for a delicious Christmas dinner! Preheat oven to 350 degrees, and move the racks around so that your pan and ham can fit. Unwrap the ham and rinse it under cold water. Place it on the rack in the roasting pan, and cover loosely with foil. Bake 1 hour and 30 minutes. Meanwhile, combine brown sugar, honey and spices in a sauce pan and cook over medium heat until the mixture is smooth and the sugar has dissolved. 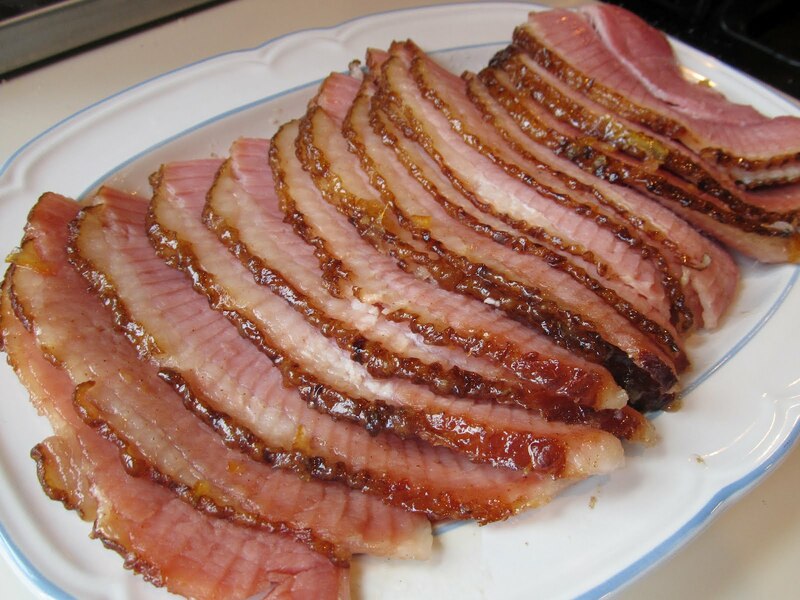 Remove foil from ham and pour brown sugar and honey glaze over the ham. Continue roasting 1 hour and 30 minutes, basting every 30-45 minutes until the ham reaches an internal temperature of 155 degrees. It will continue cooking to 160 degrees as it rests. Let ham rest at least 20 minutes before slicing. 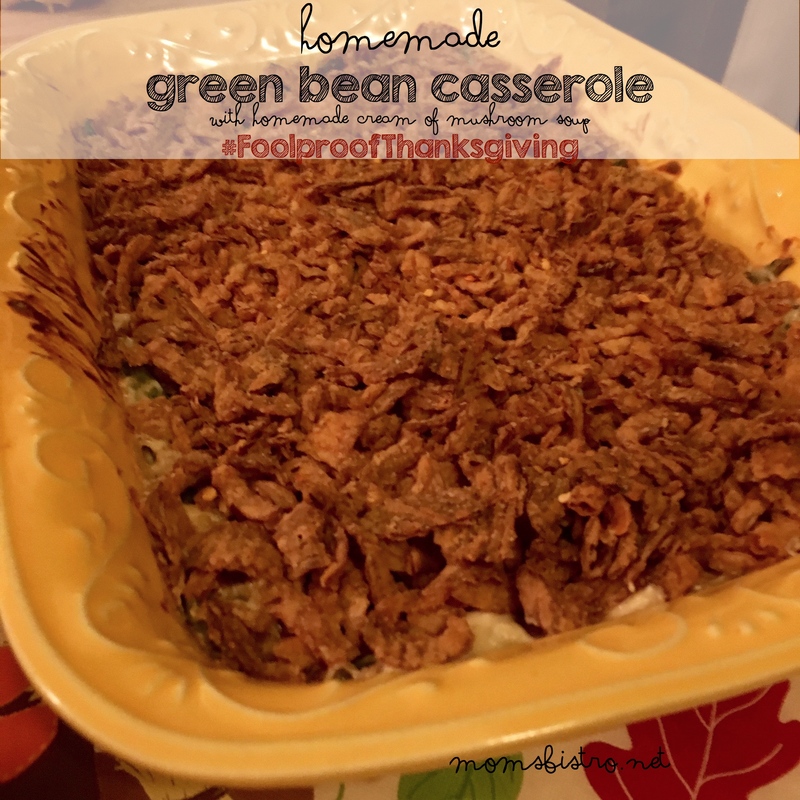 Combine green beans, cream of mushroom soup, half and half, salt, pepper and a handful of french fried onions in a bowl and mix well to combine. Transfer to casserole dish and bake for 20-25 minutes. Top with remaining french fried onions and bake an additional 5-10 minutes. 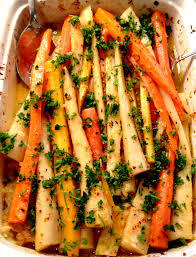 Trim and scrub parsnips and carrots, If the parsnips are thick, slice them in half or quarters lentghtwise so they are about the same size as the carrots. Likewise, slice thick carrots lengthwise if they are large. Place the carrots in a dutch oven and add 3/4 cup of the orange juice, olive oil, thyme, red pepper flakes, salt and 1 tsp black pepper. Place pot on stove over medium-high heat and bring to a boil. Cover with lid and transfer to oven. Cook 1 1/2 hours or until parsnips and carrots are very tender. Toss with remaining orange juice and parsley. 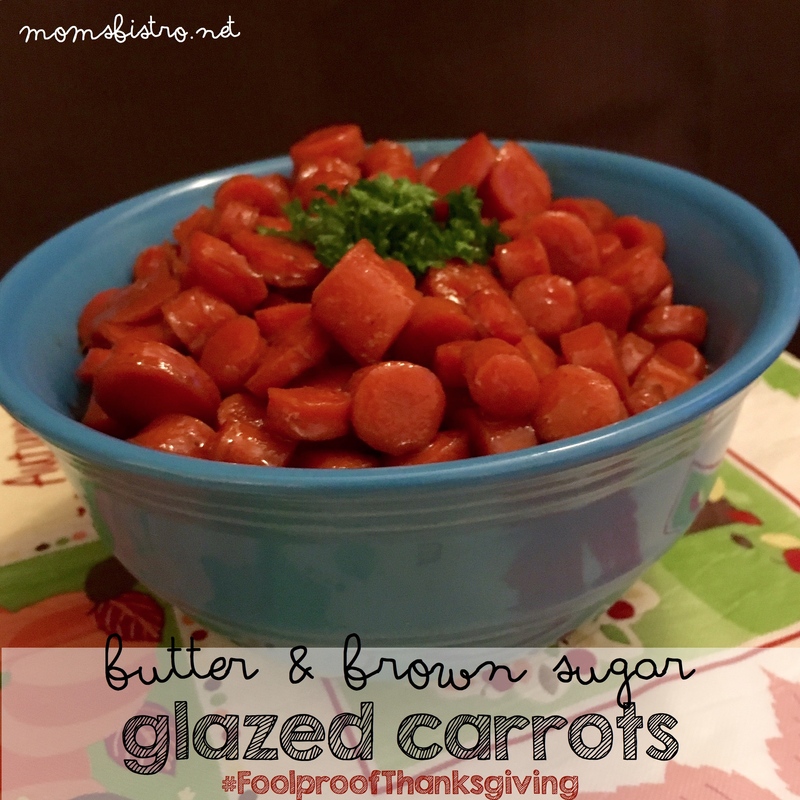 Even easier are these butter glazed carrots. Prefer turkey for your Christmas dinner? 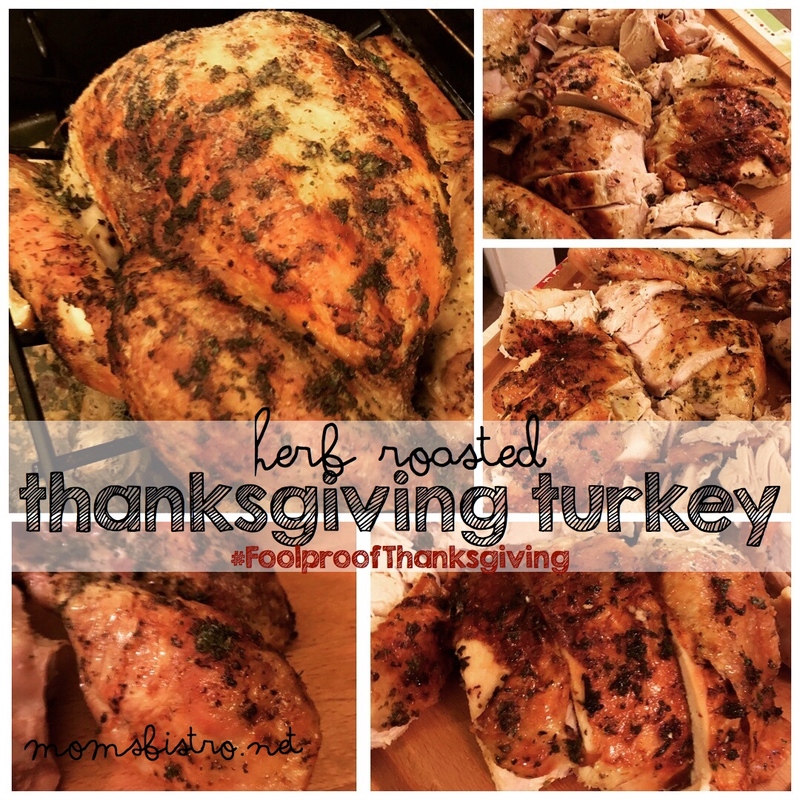 Try this recipe for a Foolproof Herb Roasted Turkey and 10-Steps to Great Gravy! Get started on your menu planning now and watch the savings stack up. Following these simple money savings tips will let you achieve a delicious and budget-friendly Christmas dinner. Shopping at home and early will save you both time and money and will let you focus on the one thing that really matters this time of year: family memories. I’m sure if you’re anything like me, you will be eager to share your savings with your family!